We are pleased to share that materials detailing the World War I service of Donald M. Wallace (from the Wallace Family Papers, MS-92) are now freely available online, anytime, through the Wright State University Campus Online Repository, at CORE Scholar: Wallace Family Papers (Ephemera and Photographs). The materials include several official documents pertaining to Wallace’s service, a diary, and photographs. Wallace was inducted into the U.S. Army on September 19, 1918, at Springfield, Ohio. He was sent to SATC (Students Army Training Corps) Ohio Mechanics Institute at Cincinnati, where he drilled and trained for three months. He was honorably discharged with the rank of private on December 20, 1918. This digital project has been a collaborative effort between the University Libraries’ Special Collections & Archives and the University Libraries’ Digital Initiatives and Repository Services (DIRS) Department, which provided the digitization, metadata encoding, and uploading of digital content to CORE Scholar. Please visit the Special Collections & Archives’ CORE Scholar page to browse additional digital collections. Don’t forget to check out the University Archives’ CORE Scholar page as well. 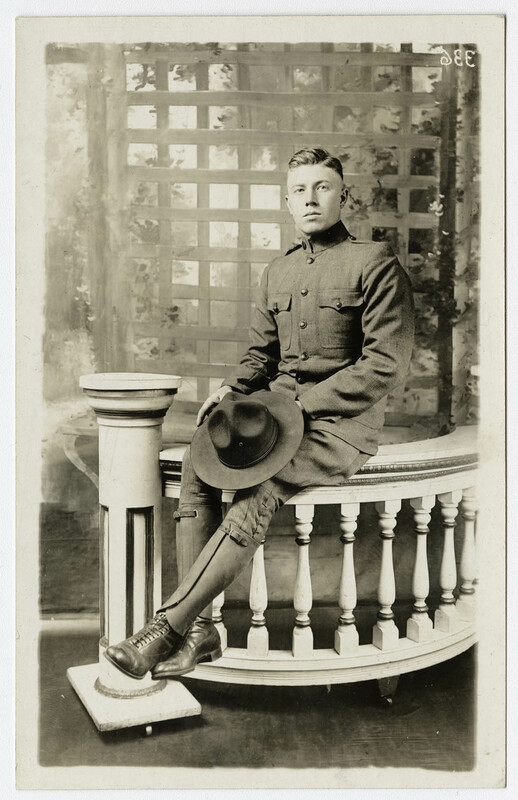 This entry was posted in Collections, Local History, SC&A and tagged CORE Scholar, digital collections, MS-92, news, photographs, World War I, WWI, WWI100. Bookmark the permalink.